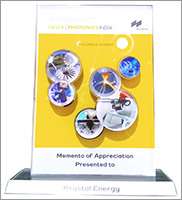 Incorporated in the year 2014, Krystal Energy has created a respectable position for itself in the market. A highly respected Manufacturer, Supplier and Exporter in nature, our firm is supplying a world-class range of industrial machinery. Keeping a high regard for quality, we use the latest technology for designing our equipment, thus assuring our customers a highly precise range. The various machines provided by us include - Laser Marking Systems, Fiber Laser Engraving Machines, Laser Marking Machines, Laser Cutting Machines and other such items. These machines give our team members a great deal of ease while operation. To make sure that our products keep up to their quality standards, we manage a packaging unit where we pack products using whole film packaging machines, anti-collision package edge and fumigation-free plywood wooden box, so as to make sure that there are zilch chances of damages or quality degradation during delivery. Our machines are robustly built and have a high speed control, which is why they deliver the most effective results with every use. With anti-corrosive features, our products have low maintenance level, thus enabling them to work flawlessly for prolonged periods of time. To offer the most high performance range of products to our customers, we make sure that there are no stones left unturned while retaining quality in our range. 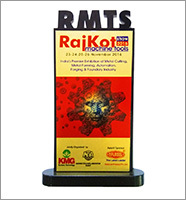 Having a highly advanced infrastructural unit, our company has equipped itself with top of the line machines. Thanks to their cutting edge execution, we are able to meet bulk consignments in a qualitative manner. Armored with a self protection system and EMI technology makes our machines more stable during operations. 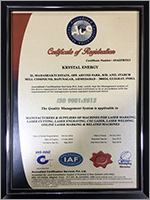 As a growth oriented organization, our area of focus remains on attaining complete customer satisfaction by providing them standard quality laser marking equipments. Importance is given on checking defective parts of these machines and their immediate replacement. Premium quality of our machines is determined on the basis of criteria like productivity, machine downtime rate, power consumption level, service life and safety features. Besides execution of regular quality inspection procedures, we take initiative to motivate our employees to brush up their technical knowledge. Workshop based training programs are arranged to make team members aware about the quality objectives of our organization, latest technical trends followed in relevant field and customers’ preference level. Being a customer friendly organization, we adhere to business ethics in order to maintain transparency of our dealings with clients irrespective of contract value and business domain. Observing business contracts and execution of strict quality checking procedures are some of the important aspects of our pre sales process. As part of our after sales service, we provide necessary guidance and training on installation, handling and maintenance of our machinery to our valued customers at free of cost. Each of our clients is given equal importance when it comes to providing training on operating method of purchased machinery.